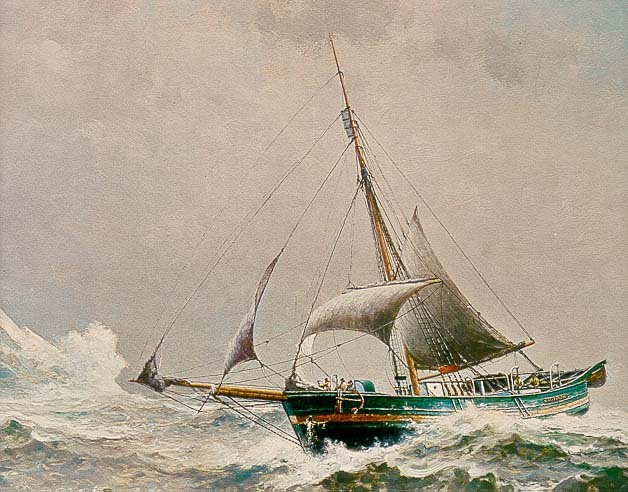 Norwegian, Roald Amundsen, making the first complete voyage of the passage in a little forty seven ton herring sloop, the Gjoa (from the Gary MacMahon collection). Since the fifteenth century, starting with John Cabot and continuing with Martin Frobisher, navigators have searched for a route to the Pacific from Atlantic. A shorter route that also avoided rounding Cape Horn was sought. Subsequent explorers whose names adorn the maps of North America and Canada also search in vain for the elusive passage. Men like John Davis, Henry Hudson, William Buffin and Samuel Hearne explored the Canadian Arctic but found no route. With the end of the Napoleonic Wars in 1815, the Admiralty, in an attempt to secure its naval superiority and seek commercial advantage, began what became a half-century of tireless endeavour to discover the Northwest Passage.